Volunteering as a family is a great way to give back to the community and make a difference in the world. It instills empathy and improves service ethic is children. Check out one of these great volunteer opportunities in your area! Note: All volunteer opportunities have a minimum age requirement and some require a set commitment period. Please call or check their website for more information before submitting and application. Help provide disaster relief, health services, and other great resources to those in need. Most positions require you to be 18 or older but children can register to start a Red Cross Club in their school. Check the website or call the locations below for more information. Help animals in need by cleaning cages, walking dogs, and spending time with them. Some organizations offer unique volunteering experiences like reading to the animals. Most of the locations below have volunteer opportunities for young children. Do note that an adult must accompany the child. Check the website or call the locations below for more information. Help provide hunger-relief to your neighbors by helping with warehouse/office duties, preparing and serving meals, or helping during special events. Most of the locations below have volunteer opportunities for younger children (10+). Do note that an adult must accompany the child. Check the website or call the locations below for more information. Help build and improve homes for families in need in your community. If construction isn’t your thing, you can also volunteer at their ReStore locations. Construction volunteers must be at least 16 years old, ReStore volunteers must be at least 14 years old and dock volunteers must be 16. Note: Volunteers under 18 must be accompanied by an adult. Check the website or call the locations below for more information. Volunteering opportunities in hospitals can involve anything from visiting with patients, participating in recreational activities with children, and clerical work. Each hospital has different assignments available. The age requirements vary by hospital and type of volunteer responsibilities. Check the website or call the locations below for more information. Help deliver food to homebound people in your area by driving meals to them once or twice weekly. Check the website or call the locations below for more information. Help the less fortunate by cooking and serving meals, provide community service, or pray with community members. Ask your own place of worship as well as this list to see what opportunities might be available. The age requirements vary by the location and the type of volunteer activity. Check the website or call the locations below for more information. Clean, organize, and cook in a house that provides families in need a supportive place to live. Provides people affected by cancer support and encouragement through free programs and services. Volunteers can greet visitors, provide clerical assistance, and help with special events. Volunteer opportunities for teenagers (13-18) and adults. Do you have a free weekend and would like to help out the community? These sites allow you to search for volunteer opportunities in your area ad hoc. Just fill out an application and attend an orientation to get started. An organization that hosts monthly service projects for young children ages 2 and up, designed to teach various lessons of social responsibility. 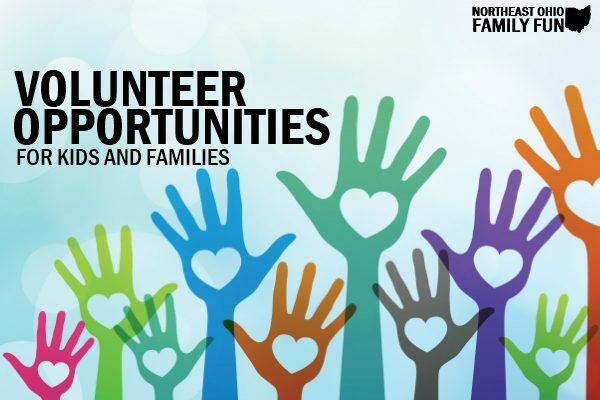 Do you know any other places that offer opportunities to volunteer as a family? Leave a comment below and we will add it to the list. Thanks!